New filter options are available on the Prescriptions and Medication Schedule pages. Organize the list by medication administration time, groups or tracker. With new enhancements, users have the ability to update parents via email with details about medication supply on hand. Email signatures can be customized via the Admin Dashboard for these reminders only. Medication Quantity on Hand must be adjusted using the new Medication Adjustment tool on the Medication Schedule page. Before using these new prescription features make sure each student has an initial quantity filled in for each medication that will be administered during the school day. Note: adjustments are saved in a separate treatment note for audit and recordkeeping purposes. Smart Lists can be made public for sharing with other users in a school’s account. 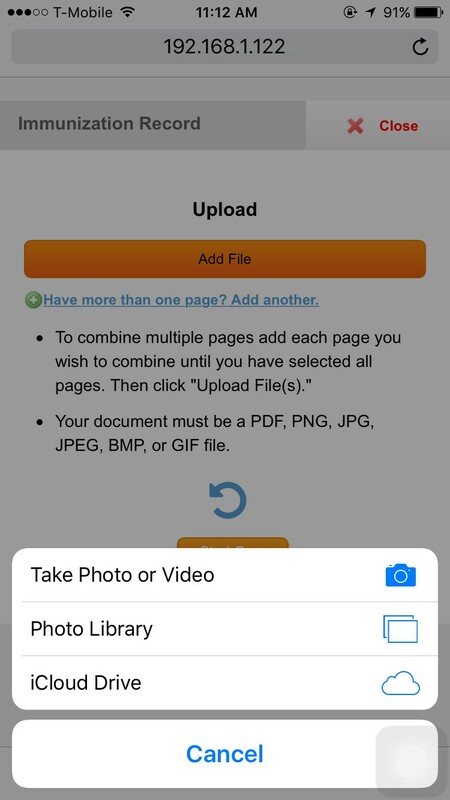 To submit forms to their student’s account, parents/students can upload photos when logged into Magnus via their web browser on their smartphone. All Search By Student fields have been updated with a non-English character keyboard to permit searching for student names with special characters.